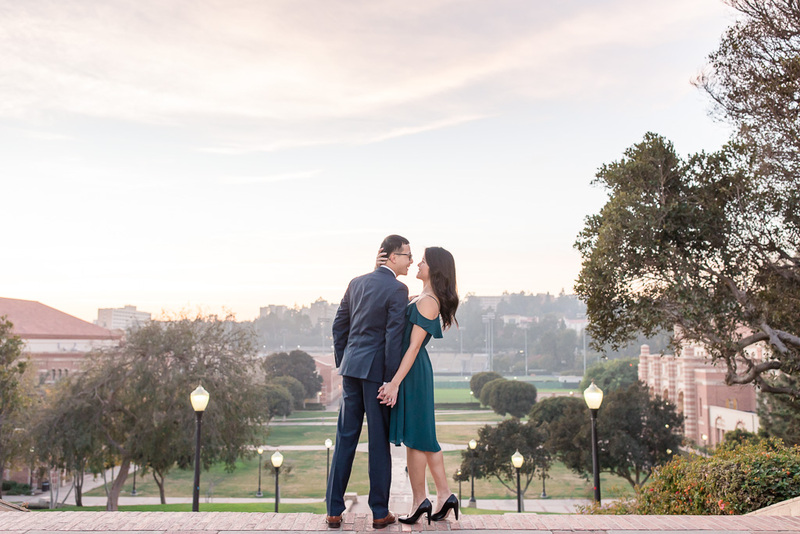 We had the honor of photographing Will proposing to Sam under a golden spotlight at the Palace of Fine Arts in August (see pics here), and exactly four months later, we met them on the UCLA campus for their engagement photos. 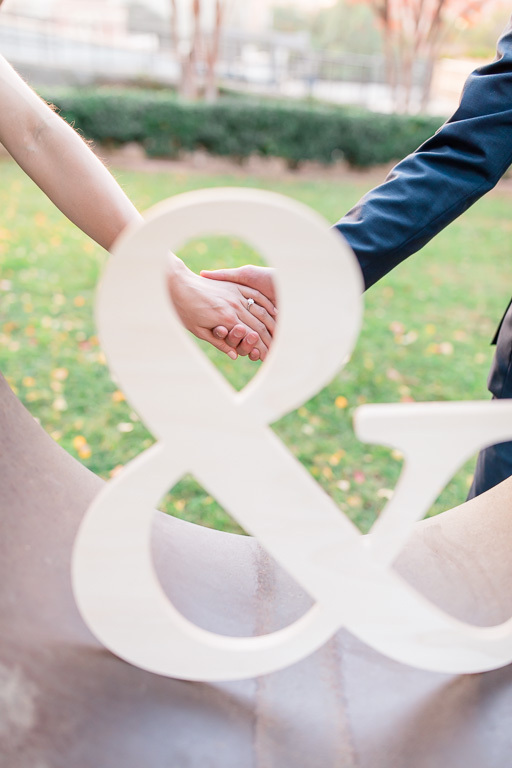 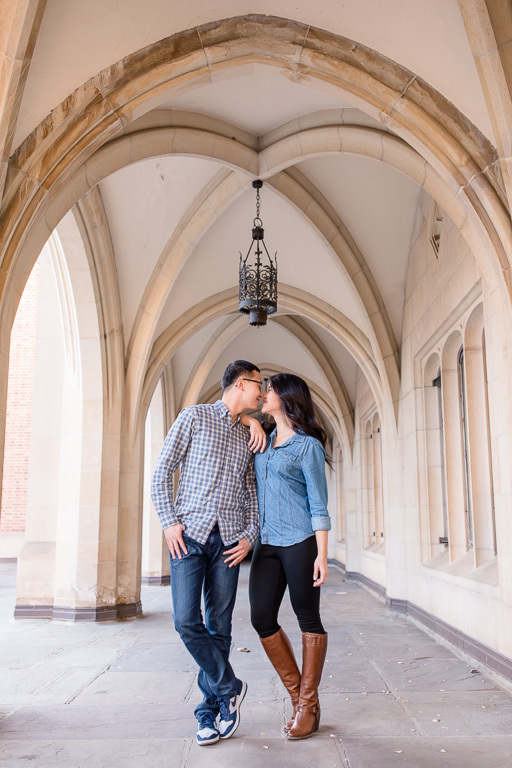 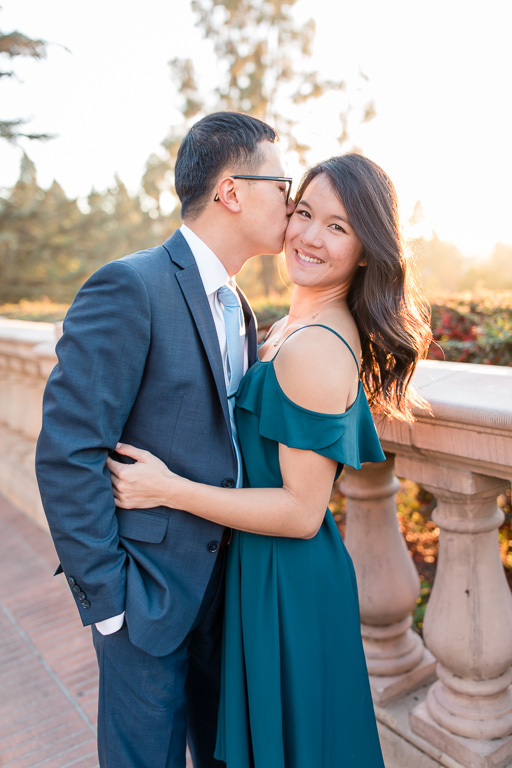 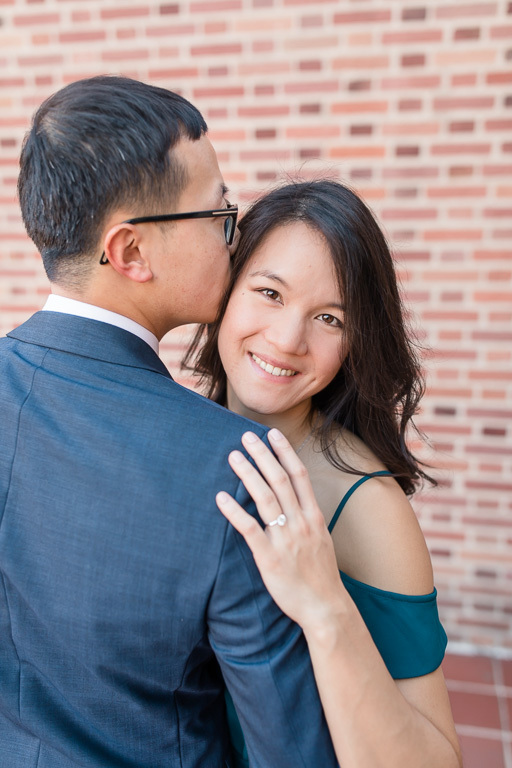 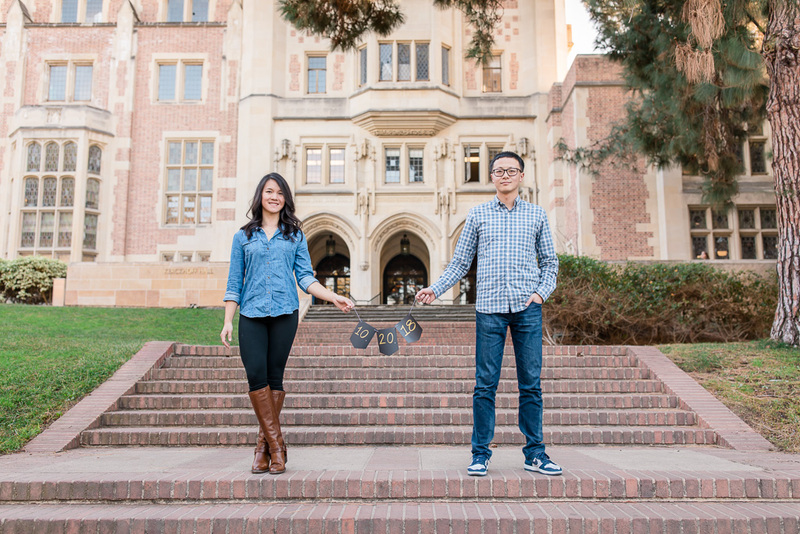 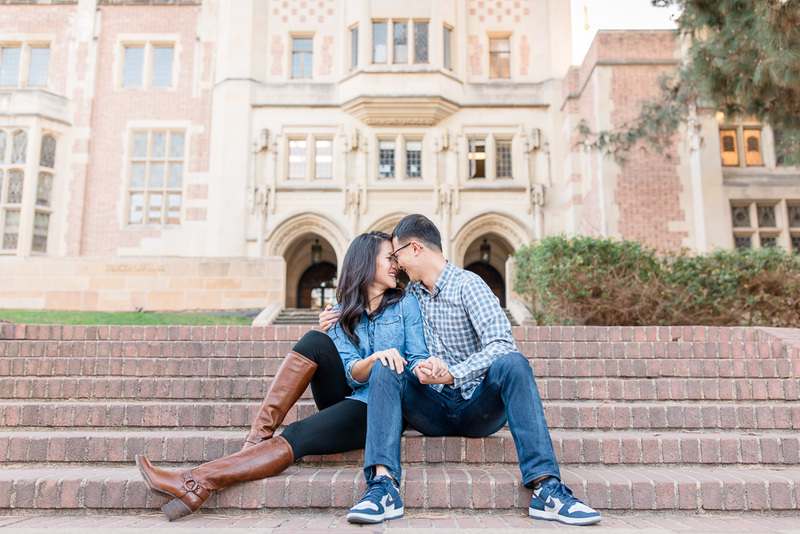 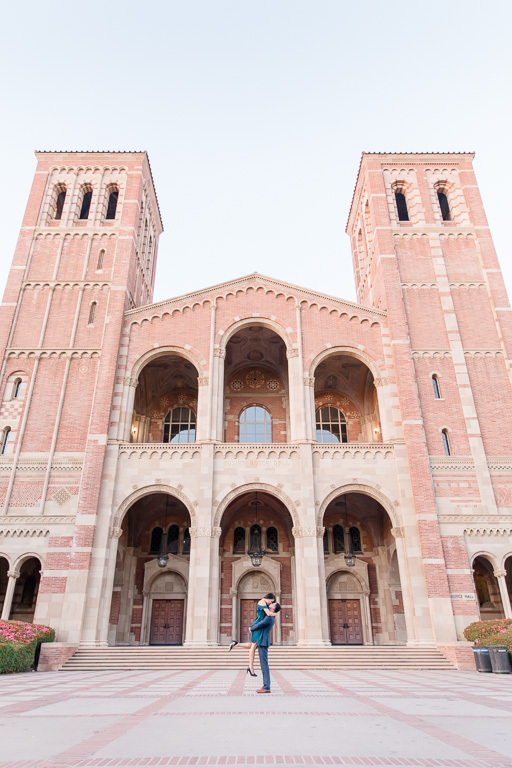 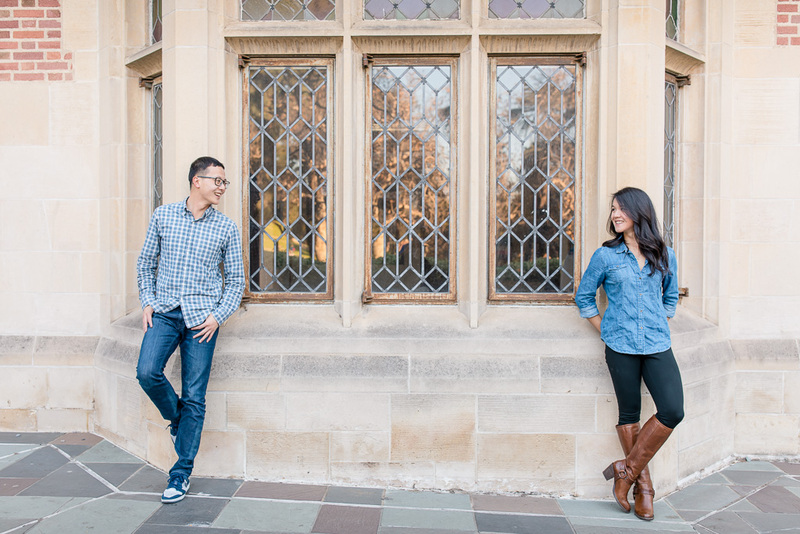 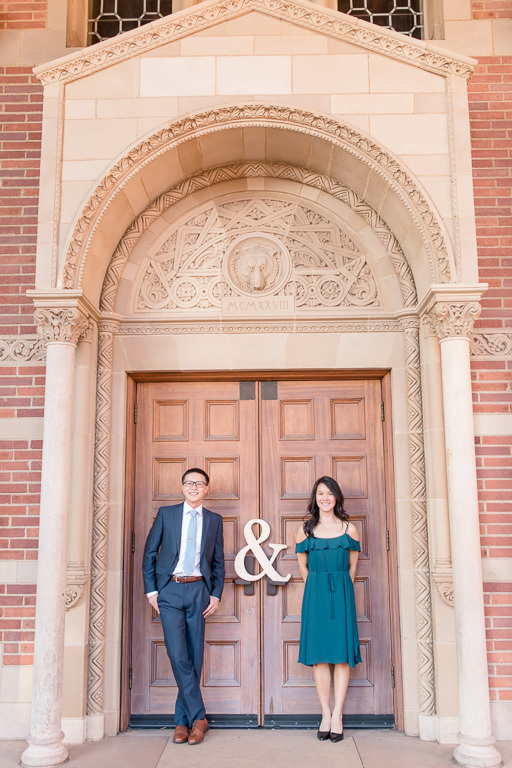 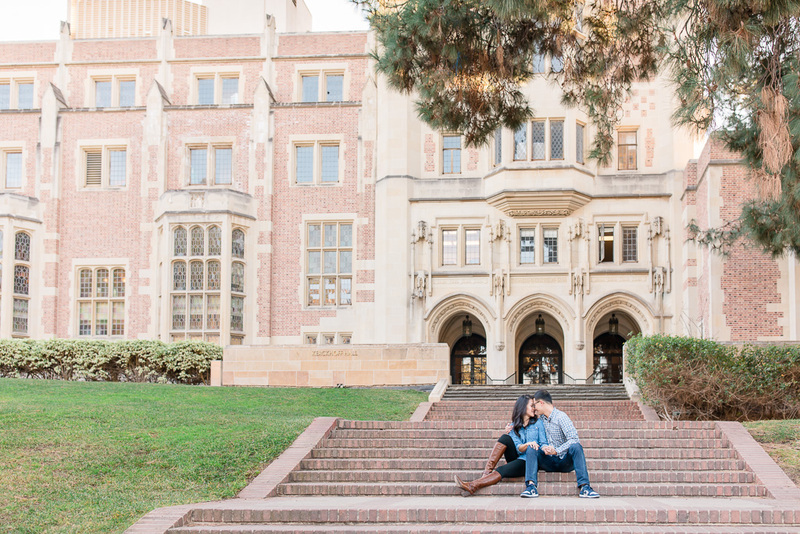 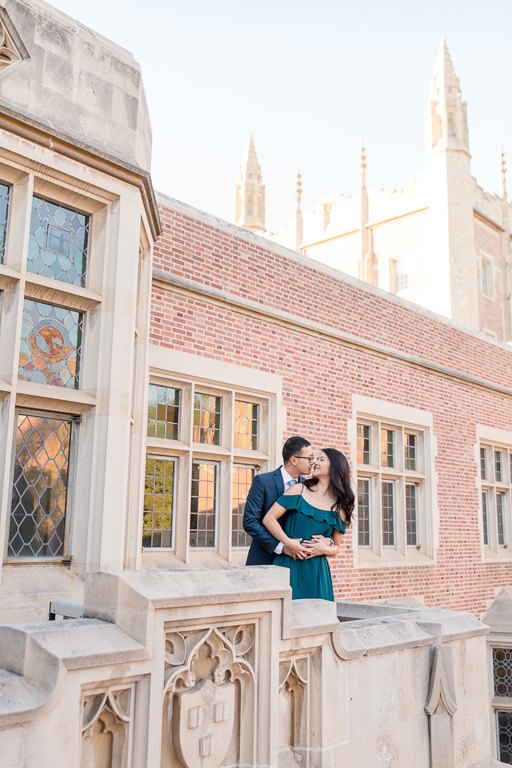 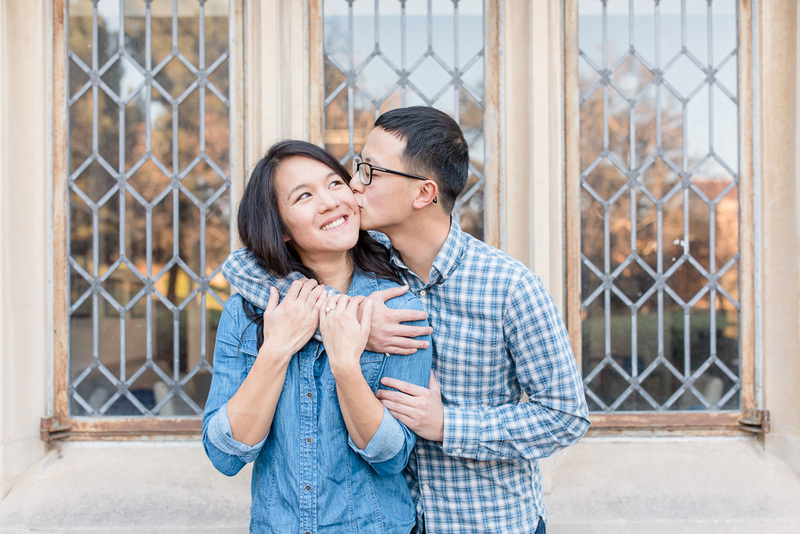 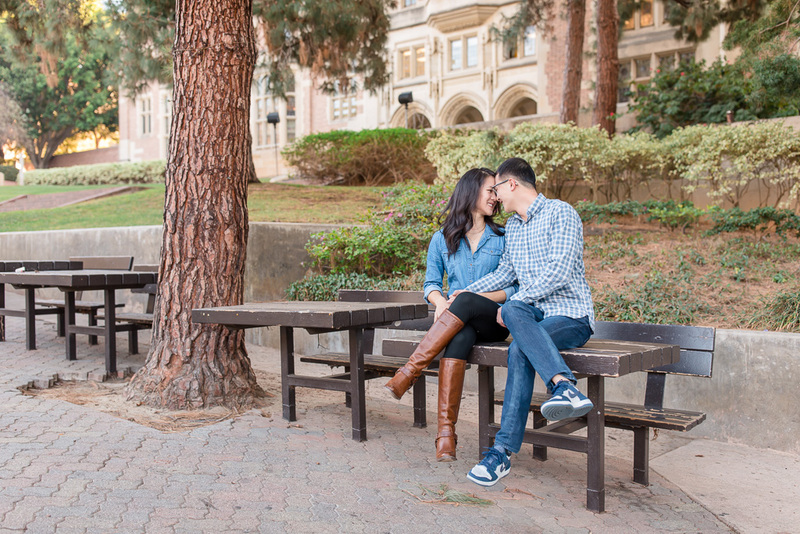 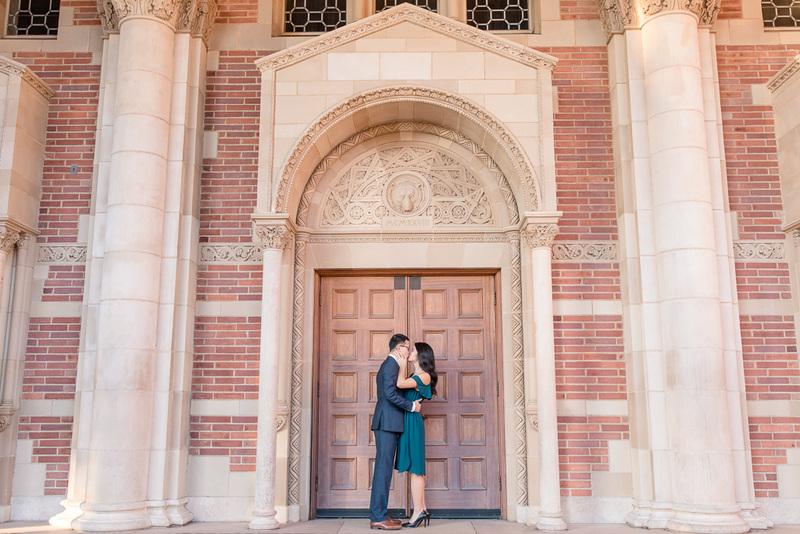 UCLA is where they had both gone to school and grown closer as a couple, and I’m really glad our travel plans lined up and we were able to take their engagement photos in a meaningful spot for them! 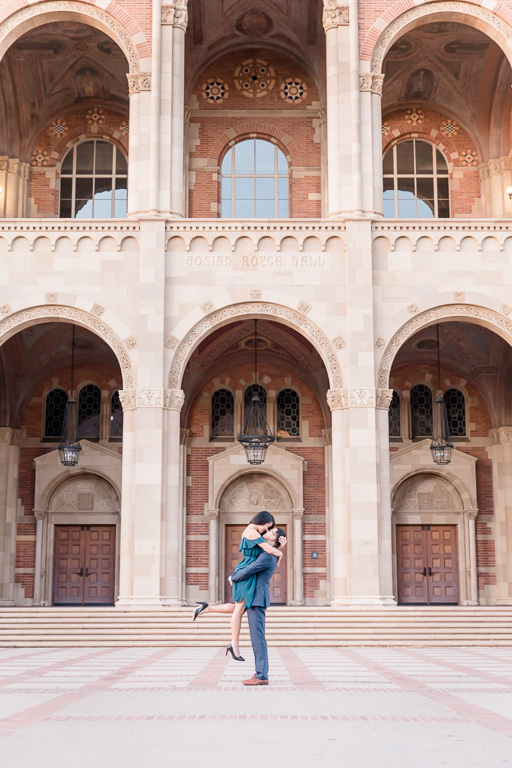 This was our first visit to UCLA, and we made it a bit of a family trip — while we were taking photos, our 11-month-old daughter roamed around for a couple hours and enjoyed her first college visit with her grandparents 😀 In a way, the campus reminds us a lot of Stanford, with lots of open spaces and beautiful architecture, but the buildings have a bit more variety so it really got the creative juices flowing. 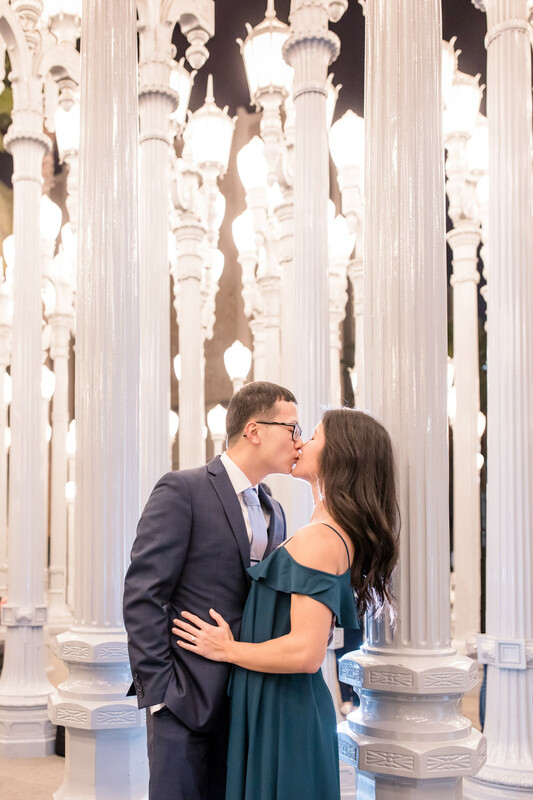 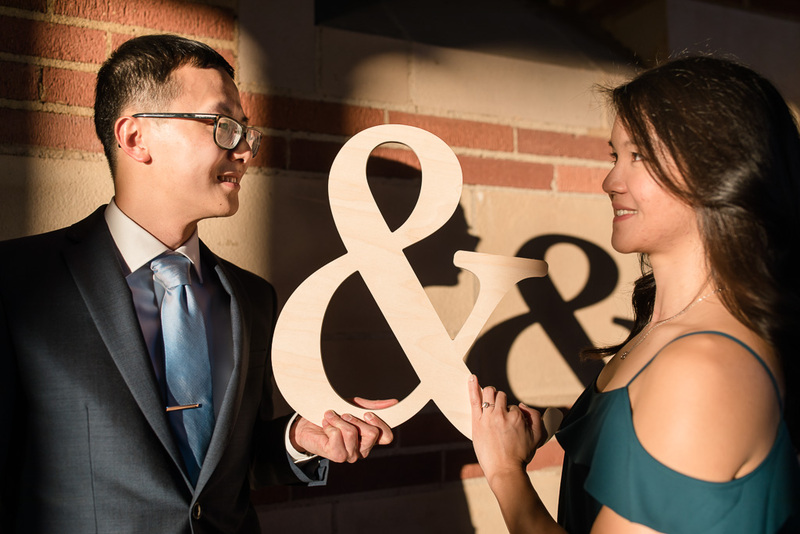 Will & Sam were naturals at this, and we really liked the backdrop of Royce Hall and the Kerckhoff area, and even got to get a photo at the super-crowded Urban Lights display at LACMA… but that’s enough talk, let’s take a look at their photos below!